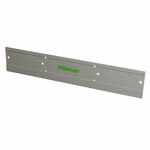 Hilmor is revolutionizing the HVAC/R world by creating tools that are a step ahead. Every tool they make is designed to give you all the features you need and none of the ones you don’t. They are determined to deliver smart, innovative solutions when and where you need them most. So, you’ll be fully equipped to retool and conquer. Sheet metal, duct, stainless steel — it’s all no match for the Aviation Snips. 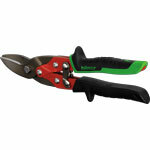 With a comfortable overmolded grip and strong, durable blades they’ll cut like new, job after job. At hilmor, they’ve taken the nut driver up a notch. Simply put, it’s ready to conquer when you are. 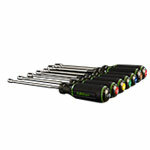 There’s a color-coded insert on the handle end that makes size identification quick and easy. From end caps to folds for drive cleats, bend sheet metal to your will with incredible ease and accuracy every time. Sizes (length): 12″, 18″, and 24″. Now you can pull duct together with one hand. Even large gaps are no match for the hilmor Duct Stretcher. 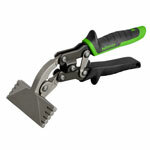 Stainless-steel blades and a reinforced chrome silicon spring increase life and durability. 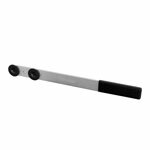 Over-molded handles reduce hand fatigue and won’t slip or twist.